Just today we told you about how Samsung’s senior VP has just promised two new smartphones within six months. This announcement comes after dwindling investor confidence in the company which led to Samsung loosing $7.5 billion in market capital this Thursday. The smartphones promised were a larger screen phone and a device made out of ‘new material’. This led to speculation that the new device might be of metal and the Samsung Galaxy Alpha is the only metal device we’ve heard about so far from the Korean manufacturer. Well, this just in. Website AllaboutSamsung claims to have new information about the Galaxy Alpha’s release date. The release has been updated and the Samsung Galaxy Alpha will now be with us on August 13th. Apart from the release date of the Galaxy Alpha, allaboutsamsung also has information about its specs and a picture confirming the Samsung Galaxy Alpha’s product number i.e. SM-G850F. 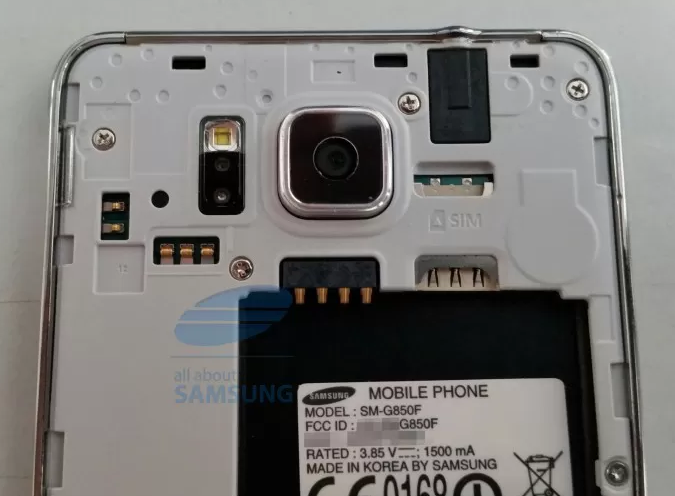 The Samsung Galaxy Alpha will allegedly come with a Octa-core Exynos 5433 complemented with a Mali-T628 GPU. This will be coupled with 2 GB of RAM on the device. The rear camera will have a resolution of 12 MP and the resolution on the Samsung Galaxy Alpha will be 1280 x 720, which should be sufficient to cover a large screen. In addition to this, the internal memory on the device will total to 32 GB. 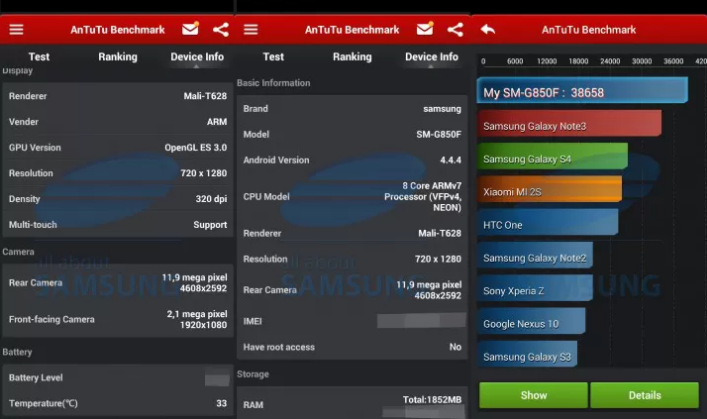 This information is courtesy of an Antutu benchmark, also shared by allaboutsamsung. All we can do is wait and see whether this information is correct. However the Samsung Galaxy Alpha might give Android lovers out there something to cheer about indeed. Lets hope we get to see some information about its design soon as well.